MadGuy Labs is a Hyderabad based online test prep platform for Government Jobs that was set up by 3 IIT-Roorkee graduates. It is India’s first AI powered EdTech platform for Govt. entrance exams with its USP of offering a personalized learning experience in English and 4 other regional languages – Hindi, Kannada, Marathi and Telugu. The Government Job app aspires to be the One Stop Solution for students sitting for such entrance exams. MadGuy Labs was part of the first cohort of Gray Matters Capital’s mobile edtech accelerator program – GMC Calibrator during which time the Daily Average Time Spent Per User on the app increased by 30% with more than a 28% jump in Daily Active Users. The complete opportunity path from discovery of applicable government jobs to preparation via customized learning towards those multiple jobs on a basic smartphone that is affordable, in vernacular is what got edLABS excited to invest. Moreover, it presents opportunities for women to prepare for these exams in the comfort of their homes. GyanDhan is India’s first online education financing marketplace which has since April 2016, enabled over 2000 loans via banks to students in India wanting to pursue higher studies abroad. It is working with leading financial institutions including State Bank of India, Bank of Baroda and Axis Bank and simplifies the education loan process through innovations such as doorstep document pickup, fully online approval for loans without collateral etc. The fintech start-up will use its proprietary student employability assessment framework – GyanDhan Score, to help its partner NBFCs and banks to structure skill building loan offerings linked to employability-based outcomes. The funding via Gray Matters Capital’s edLABS initiative was made with the objective of GyanDhan diversifying its loan portfolio from Study Abroad loans for Higher Education to making access to affordable and hassle free loans for skill building courses a possibility. In line with this portfolio diversification, GyanDhan is also working on using data insights to rank vocational training institutes in India. Gray Matters Capital believes that the yawning gap that is seen today between existing skillsets and those required by the workforce for the jobs of the future can be bridged only through vocational education. The funding is aimed at overcoming any financial constraints faced by individuals in India in taking up such courses. Ignis Careers is a Hyderabad based social enterprise providing capacity building programs for teachers in government and affordable private schools. Its Life Skills curriculum is unique as it integrates English language learning to help students not just get acquainted with the language, but also prepare them for employment opportunities in the future. The funding from our edLABS initiative has enabled it to develop a digital platform by digitizing the teaching manuals for its Life skills and English language skills training, to ensure greater interactivity in the classroom. Ignis will use the funds to expand operations to 16 new cities in the South Indian states of Tamil Nadu, Kerala and Karnataka, besides Maharashtra and Chhattisgarh. By doing so, it will establish its presence across 500 schools catering to over 1 lakh students through capacity building of nearly 4400 teachers spread across government and affordable private schools. Redbird Health Tech is changing the way patients interact with the Ghanaian healthcare system to better combat the rising burden of non-communicable chronic diseases. Redbird leverages the existing skills and infrastructure of pharmacies and over-the counter (OTC) chemists to create more convenient health testing options for all patients, especially those with chronic conditions. Redbird enables pharmacies and OTC chemists to perform on-site rapid testing for the diagnosis and monitoring of health conditions, bringing healthcare closer to the patient, improving patient involvement and identifying adverse health outcomes when corrective action is still possible. 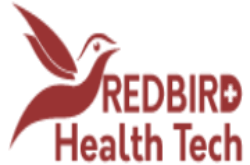 Redbird offers patients a wide range of health monitoring services with the benefits of convenience and affordability as they can get rapid diagnostic tests done for blood pressure, malaria, anaemia, hepatitis B, cholesterol, etc. via community pharmacies. These pharmacies can expand their business and provide patients the benefit of monitoring their health more effectively without having to lose a full day of travel and waiting at overcrowded hospitals. We are excited to support Redbird’s efforts in making health monitoring services more accessible to mothers and families which need them the most and its potential to significantly reduce risks of pregnancy complications and maternal mortality is what drove our investment decision. ThinkZone is an award winning social impact start-up from Cuttack (Odisha, India) providing high quality, low-cost education to underserved children in low resource communities. Using an innovative ‘School-in-a-Box’ solution run on offline technology with proprietary teaching activities and class management tools; ThinkZone employs local women as micro-entrepreneurs to deliver quality early-grade education programs following an MIT evidence based pedagogy adopting a Teaching-at-the-Right Level approach. The funding by Gray Matters Capital’s edLABS is aimed at 4 key strategic initiatives of automating teacher training, refining curriculum, improving performance monitoring by integrating analytics with technology and forging partnerships with the objective to scale. The prospect of ThinkZone employing 300 women entrepreneurs to impart tech-driven education to benefit nearly 2 million students in the next 5 years was the underlying reason for us as gender lens investors to back this social enterprise. Technology transforming how students learn across Latin America. 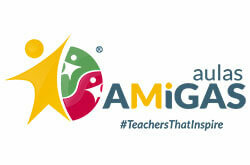 A high growth education technology company based in Medellin, Colombia, Aulas AMiGAS believes that the education paradigm can be changed only by producing better teachers. Its vision is to change teaching from a static rote model to a dynamic active learning experience and aspires to facilitate meaningful learning experiences within the classroom through innovative technological tools. Presently used in over 25,000 classrooms with more than 50,000 teachers as users, its products have a simple user design with easy implementation in educational settings. The core product is a smart board that helps increase classroom interaction through Augmented Reality. 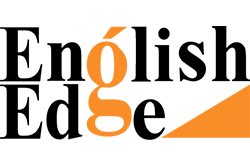 The investment in Aulas AMiGAS was aimed at giving Gray Matters Capital a strong entry in the Latin American education market. As part of the investment, Gray Matters Capital has also gained a stake in start-ups such as SuperProfe, Editorial Aulas AMiGAS, Domoti, QBIC, and La Fundacion Aulas AMiGAS. Gray Matters Capital is also looking to successfully replicate its business model and product application in other developing markets such as India. Jaipur based SRJNA, a brand of Elation Edtech Pvt. Ltd., helps schools to integrate hands on, affordable and turnkey STEM (Science, Technology, Engineering & Maths) solutions in their regular curriculum by setting up and facilitating Innovation and Tinkering Labs. SRJNA is well placed to benefit from the Government’s flagship program Atal Innovation Mission (AIM) with its dedicated studio labs it sets up in schools to transform ideas into reality via 3D printing, Robotics, IOT, as well as through mechanical and electrical tools in STEM Tinkering Kits. Besides the Tinkering Labs, SRJNA also facilitates experiential learning of STEM concepts in K10 classrooms through its Innovation Labs comprising teaching aids and student assessments over an online platform. It adopts a 5 dimensional learning approach of seeing, touching, feeling, understanding and performing which help students see the concepts taught by the teacher function in real-time in the classroom. The funding is aimed at helping SRJNA augment its content R&D, technology and building a channel partner network for faster growth across the 1.5 million addressable school market in the country. Besides this, Gray Matters Capital’s funding of SRJNA is a step to make a difference to the lives of over 250 million school students particularly to get more girl students interested in STEM to bridge the gender gap. This funding is in line with the belief that there is a link between imparting STEM concepts in an experiential manner to improving learning outcomes. SonoCare is a Nigeria based health tech start-up providing services spanning the spectrum of women’s health such as on-demand mobile 3D/4D diagnostic imaging and cardiac monitoring among others. Offering both fixed site and mobile solutions, SonoCare provides cost efficient programs scaled to the needs of hospitals, satellite clinics, health care providers like physicians and midwives, birthing centres, assisted living facilities as well as corporate offices using a combination of the most advanced imaging systems and highly trained, registered technologists as sonographers. With one in thirteen women in Nigeria dying during pregnancy and childbirth, and a vast majority of such deaths occurring in rural areas, Gray Matters Capital saw SonoCare’s mobile diagnostic medical imaging solution that leverages technology and innovation as a solution to the lack of affordable and easy to access diagnostic care services in Sub-Saharan Africa. With our funding, SonoCare would develop a mobile app and deploy more mobile units to cater to 200,000 pregnancies by 2020. 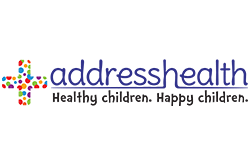 AddressHealth provides healthcare facilities and periodic health check-ups for students in CBSE and ICSE schools. It has also developed a School Health Education Programme for students of classes I to VIII. It also provides mental health programs for the school children. Founded in March 2010 with the vision of making pediatric primary care continuum possible, AddressHealth with its integrated child health clinics as a base, reaches out to schools, pre-schools and residential groups to address the health of 6 lakh children, by 2020. A market based model for paediatric healthcare that also helps impart school children with the habits they should develop in order to stay healthy. It helps establish strong connect between learning outcomes, physical and emotional well being of children. 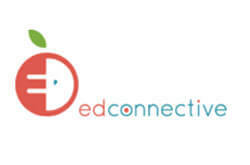 EdConnective is a staff outsourcing platform that provides schools with instructional coaches. It imparts bite-sized pedagogies in the form of video coaching to take each teacher through a dynamic coaching process every week grounded in best practices from the highest performing school networks across the nation. Its virtual platform allows schools to triple their instructional coaching support for a fraction of the cost of hiring full time instructional coaches. Its coaches carry out objective observations that illuminate what students are doing at various moments of instruction. They review recorded lectures of the educator and meet with the educator twice a week to give feedback and recommend improvement on certain skills. The average teacher in the US receives 3 observations or less in an entire year. School leaders want to provide more, but don’t have the time nor the capacity to do so. EdConnective provides 12 observations to each teacher it works with, that is four times the norm. Gray Matters Capital saw the value add brought by EdConnective to schools in terms of increased bandwidth for principals, decreased teacher attrition, increased student engagement and improved learning outcomes. The IDEX Accelerator is a six-month fellowship experience designed for aspiring social intrapreneurs who want to take control of their career path while helping to address society’s most pressing problems. These young professionals are given the opportunity to work alongside social entrepreneurs across Bengaluru (India) and gain hands-on experience addressing the needs of a growing enterprise while earning a Professional Certification in Social Enterprise. 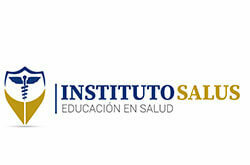 Instituto Salus is the first nursing institution in Mexico specialized in training people to become paramedical and geriatric care professionals enabling them to find purposeful, meaningful and well-remunerated jobs in their neighborhoods. It targets women under two age segments – 15-21 and 40-55. Its innovative educational model encourages its students to develop critical thinking, values, social purpose and independence to generate a real change in their quality of life and in the lives of others through the proper application of knowledge. Being a disruptive educational platform enabling women to provide first class health and geriatric care education to those at the bottom of the pyramid in Mexico, Gray Matters Capital saw Insituto Salus as a strategic fit in line with its mission statement of education leading to a meaningful life for 100 million women. Gray Matters Capital’s investment in Instituto Salus is being used to create two training centers in Mexico City and comes at an appropriate time, when there is a national shortage of nurses, an increase in the elderly population and the need to create opportunities for students to return to the community. 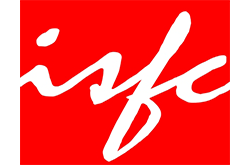 Indian School Finance Company (ISFC) is the world’s first Non-Banking Financial Company (NBFC) to fund private schools, vocational institutes, coaching centers, SMEs in the education domain as well as teachers with an objective to build capacity through infrastructure improvements and thereby enabling students to access quality education. Having started its operations in Hyderabad in 2008, ISFC today has expanded its presence to over 100 locations spread across 60 districts in 13 states in India, creating social impact with majority of loan disbursements to the Affordable Private Schools (APS) segment. ISFC lends to over …… APS schools which helps them expand access to affordable education to……. Children from low income families . ISFC was incubated by GMC in …… Un met credit demand of huge base of affordable private schools was a barrier in improving the infrastructure and increase enrolment. None of the existing institutions were lending to APS. This presented a huge opportunity for achieving scale , sustainability and impact. English Edge is the flagship product of LIQVID eLearning Services, a Noida-based educational software company that uses a unique combination of ‘Content, Platform and Analytics’ to transform English skills of learners and impart soft skills. Working over more than a decade on English Language education, English Edge has amassed great knowledge and experience in designing programs for proficiency in English Language skills. Its methodology includes trainer software, trainer manual, technical manual, and a student workbook and student practice material available across PCs and mobiles as well as in schools, colleges and centres which will deliver the programme. Language, especially English, still acts as a huge barrier to learning and job placement for individuals coming from the bottom-of-the-pyramid population across the world. English Edge will address this by leveraging its deep expertise, highly effective blended learning methodology and it’s cutting edge technology to provide a highly customized solution. 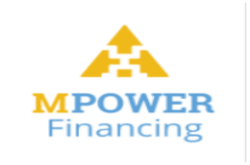 MPOWER Financing was created as a Public Benefit Corporation to help promising students from around the world who struggle to complete their education as a result of being excluded from traditional financing options. Our team was founded by and is comprised of, a community of global citizens and former international students, passionate about access to quality education regardless of one’s background. The grant was given to fund MPOWER’s social impact efforts including its overall strategy, design and implementation. 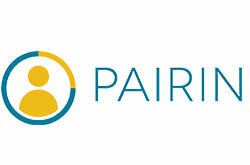 PAIRIN is a social enterprise software company whose mission is to make education relevant and hiring equitable. The PAIRIN Readiness Management System is the world’s first industry independent cloud-based solution for integrating soft skills development and matching into any program or company. Recognized as one of “The Top 50 Coolest New Companies in America” by Business Insider in 2015, winner of the 2017 Denver Chamber of Commerce Start-Up of the Year award and the 2017 Colorado Companies to Watch, PAIRIN continues to lead the skills-based talent pipeline evolution for education and industry. PAIRIN was built upon 60 years of research, 17 years of job performance measurement by the founders, and co-designed with partners from public education, industry, foundations and government to measure the most critical indicators of long-term success in life and career. Gray Matters Capital has observed that soft skills proficiency is proven to be the reason for over 75% employees to experience long term job success. Since these skills are coachable and changeable, it saw PAIRIN’s platform as perfectly suited for online development. The PAIRIN Readiness Management System not only provides a baseline measurement of an individual’s soft skills, but also provides a roadmap and targeted development tools to help on the journey to success. 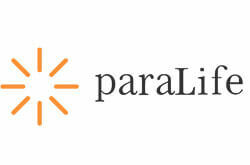 Unlike hard skills or personality tests, everything PAIRIN measures is coachable and changeable. 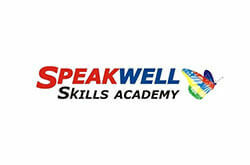 SpeakWell is India’s No 1 English speaking training company. This professionally managed training firm aims is to enhance personality development and effective communication in its students. It has also diversified into skill development in areas such as retail, banking, sales and e-commerce. Speakwell has been expanding its network of centers across the country by establishing its franchisee network and has launched a one of its kind virtual training network for Skill development under the brand Skill Capital. The investment was aimed at helping Speakwell upskill 4,000,000 students from the level of 40000 students at the time of funding. Tenoli is a social enterprise that has dedicated itself to the growth of over 850K mom and pop stores in Mexico by serving as a bridge to help them access high quality training, resources and markets to take on the competition from supermarket chains and malls. The training and consultancy provided helps store owners to improve their stores thereby leading to better footfalls. The first training center established in Mexico City had 350 shops participating. 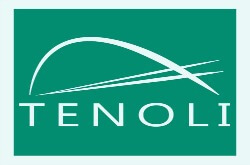 Tenoli also connects them to larger players, thereby enabling them to get group discounts. Education Catalyst Fund is a US$ 20 Million onshore fund established under the Alternate Investment Fund Category II scheme of the Securities & Exchange Board of India. It is focused on supporting edtech companies that offer solutions to low income families in the education, and jobs & livelihoods areas. The 8-year close-ended fund managed by impact investment management firm CBA Capital aims at supporting 15 edtech companies in the early part of their lifecycle with seed and series A stage investments. To deliver on its promise of disrupting India’s education, it has till date invested in three companies – Simulanis, Kopykitab and Buddy4Study – all early-stage companies using technology to disrupt traditional business models. Gray Matters Capital is the largest investor in the fund. Focused on education and skilling – two of the most important ingredients for harvesting India’s demographic dividend, the fund has the potential of bringing a positive change in the lives of low income families across the country. With its investees expected to touch over one million low income households over their lifetime, investing in ECF was a powerful pathway to achieving impact at scale. A $70 mn. 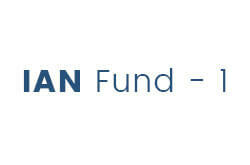 sector agnostic fund managed by the Indian Angel Network (IAN), the IAN Fund-I aims to nurture startups in India by attracting the country’s most innovative entrepreneurs and getting them mentored by domestic and international investors besides providing them with global market access. Through this fund, entrepreneurs can raise from $30K right to up $8 Mn during its 10 year span. As a limited partner in the fund, Gray Matters Capital expects the Indian Angel Network (IAN) to direct its share of investment only into early stage disruptive Indian education enterprises. A $75 Million Off-Grid Solar Energy & Financial Access Senior Debt Fund I managed by SIMA (Social Investment Managers and Advisors) provides senior debt to innovative companies that finance, manufacture, and/or distribute individual solar home systems in Africa. SIMA’s fund is managed by some of the longest serving social asset managers with an excellent track record in the impact investing sector. It has managed 13 funds totaling $630mm, investing in 50+ countries with less than 1.7% losses. As much as 85% of the population in Africa do not have access to electricity and are forced to burn fossil fuels for light, which has a detrimental effect on both the environment as well as the health of women and children. Compared to burning kerosene, solar lighting results in improved health, longer business and educational hours, improved safety and quality of life without hampering the environment. With demand for off-grid solar growing at 55% per year, and the credit needs of off grid solar providers estimated by Bloomberg New Energy Finance at $3 billion annually by 2020, Gray Matters Capital considers this investment to tick the checkboxes of social and financial returns. IGNIA is a venture capital firm based in Monterrey, Mexico that supports the founding and expansion of high growth social enterprises that serve the base of the socio economic pyramid in Mexico. The Fund’s vision is a more equitable world, and the mission is to improve lives through access to goods and services. Investments focus on the areas of agriculture, housing, healthcare, education, basic services, technology and telecom markets – sectors that have a disproportionate impact on low-income populations. It’s impact has been certified by GIIRS (Global Impact Investing Rating System), which ranks it in the highest quartile among its peers with 117.2 points out of 200. 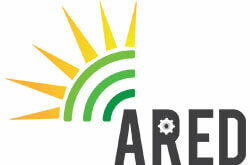 ARED is a Hard Tech as Service (HAaS) company that has developed a solar kiosk platform to bring last mile distribution of prepaid services and digital connectivity to people belonging to low income groups. ARED uses a scalable micro-franchise model that is an income game changer employing women, disabled individuals and refugees at its solar-powered kiosks. Using the coLABS funding, it is making its first international expansion into Uganda to market test its newest kiosk model, the Shiriki Hub. Gray Matters Capital was excited to see the team’s sincere commitment to impact while deploying a needed tech innovation. doctHERs is a Pakistani digital health and telemedicine company that connects a network of home-based female doctors—who are unable to access the workplace—to healthcare consumers—who lack access to quality, affordable healthcare–via technology. In February 2017, doctHERs pivoted after 18 months of a community-based clinical model to focus on underserved stakeholders in corporate value chains to achieve more scale and financial sustainability. On the supply side, it is reintegrating women healthcare professionals into the workforce. On the demand side, it engaging workers and families within corporate value chains with a special focus on health and wellness for women and girls. 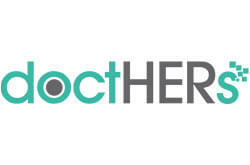 The way doctHERs is leveraging technology to address barriers faced by female doctors and healthcare workers who are discouraged from the workforce, and by female patients in the working class without access to care – Effectively linking both communities of Women was what galvanized interest of Gray Matters Capital. There was scope for scale with their creative plan of collaboration with large distribution and co-financing partners, giving them the pathway to expand internationally. Implementing sustainable and inclusive employment opportunities through telecommuting, LikeU is creating thousands of part-time jobs and providing high quality services to Business Process Outsourcing sectors. The company brings greater efficiency to corporate clients since recruits have already been vetted and trained in specific services or products, making the hiring process three times faster. coLABS’ investment in LikeU was made after a targeted search in Latin America for innovative companies tackling critical issues for women in the region. 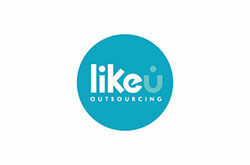 LikeU’s offering of access to formal employment to enable autonomy and self-sufficiency, particularly among the increasing number of female-led households in the region, made the company a great fit for the coLABS portfolio. We loved that the quality of life of their customers was a top priority for this company and that they use an approach that is innovative in their region–telecommuting–to achieve that. This gives flexibility and skills training to the growing number of female-led households in Latin America and offers them a higher salary through the savings that corporate clients receive by using LikeU. It’s a win-win for workers and corporate clients. 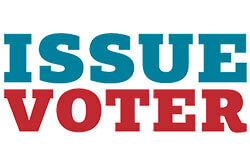 IssueVoter is a non-partisan platform that alerts users year-round on key issues that they care about. Before the US Congress votes on these issues, the platform alerts its users and enables them to send their opinions directly to representatives with one click. It holds politicians accountable by tracking how they vote so that users can make informed decisions at election time. IssueVoter is passionate about promoting civic engagement among underrepresented women and is using coLABS funding to enhance their platform offerings, reach more citizens, and pilot a corporate engagement model. Gray Matters Capital was interested in IssueVoter considering the growing partisanship in the US political system. The founder’s passion for civic engagement and how she created a non-partisan technology platform that efficiently gives everyone a voice in our democracy, including women who aren’t being heard equally was inspiring. The US Congress currently receives about two million more letters and calls from male constituents each year, despite women voting at higher rates than males in every presidential election since 1980. IssueVoter can change that with a click of a button. 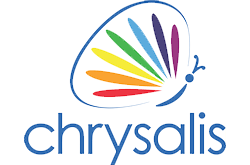 Chrysalis is a Chennai based educational reform organization that is committed to bring a change in the India’s education system. It’s flagship product – ThinkRoom is a student-centric academic programme developed in-house after 16 years of intense pedagogic research. It aims to help every school student to discover his or her potential while developing academic excellence and replaces programmes and textbooks whose focus is limited to academic outcomes. Since its inception in 2001, Chrysalis has changed the way more than 250,000 students in over 500 schools across 11 states in India learn. In 2017, Chrysalis had introduced ‘Buzzle Cards’ that help impart core concepts of Mathematics and English using Augmented Reality (AR) through the Buzzle AR Beta app. The app animates images on the cards making the learning experience immersive for the student. Gray Matters Capital had funded the development of this educational innovation through its edLABS initiative. Add-On-Gyan Educational Services Pvt. 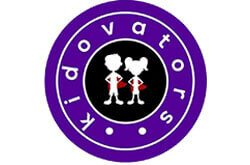 Ltd., that is largely associated with the brand name Kidovators, is a pioneering education-technology startup with a core focus on imparting 21st century skills education such as Creative Thinking, Critical Thinking and Complex Problem-solving through programs and curriculums. It has been conducting the ‘Kidovators Creativity Olympiad: The Erehwon Challenge’ – India’s Biggest Creativity Olympiad to help students from Class IV to IX hone their creative thinking skills. Gray Matters Capital, through its edLABS initiative, has facilitated the launch of KidovatorsTM – India’s first 21st century skill learning platform. Backing affordable breakthrough solutions of for-profit education ventures focused on inculcating 21st century skills and improving the learning outcomes of the students is in line with Gray Matters Capital’s investment strategy in India. 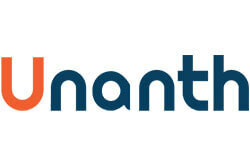 Unanth is an online learning marketplace connecting tutors and students with skill based courses in Web Development, Programming, Data Science, Analytics etc. taught in English and other vernacular languages. Its next generation platform helps tutors create and publish courses easier while ensuring high quality learning experience to students. For a country as diverse as India with multiplicity of languages, Gray Matters Capital believes that the success of edtech hinges on education being imparted through Massive Open Online Courses (MOOCs) in vernacular languages. The need to make the workforce ready with requisite skillsets for jobs of the future, it backed this learning marketplace through edLABS. 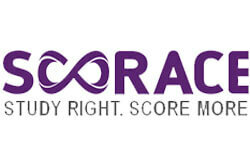 Scorace helps students in classes VI to X in secondary school to understand Mathematics and score better in tests and exams. This is achieved by using intelligent technology to provide personalized practice to students supported by learning videos and on-demand experts available to students. Students can access Scoreace solutions through computer labs in schools as well as at home through smartphones and tablets. Being an Artificial Intelligence (AI) powered tuition platform helmed by Mr. Ashish Basu, a stalwart in the education technology sector, Gray Matters Capital supported this venture through its edLABS initiative to help students improve their computational skills with an aim to prepare them for higher education and job opportunities in the future. 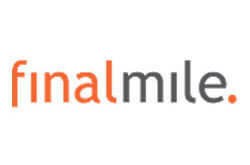 Final Mile Consulting is a knowledge intensive design firm that understands, explains, and influences decision-making by applying learnings from behavioral sciences, cognitive neuroscience, product & industrial design, graphic design, architecture, business management and marketing. While technology has helped increase access to quality sources of education, course completion rates on online education platforms and apps in India have been low. Addressing this issue of stickiness of online educational content by helping edtech enterprises understand the behavioral traits of end users of their products is something which Gray Matters Capital considered as essential for edupreneurs to achieve success both from an impact as well as improved learning outcomes perspective. Global Microfinance Equity Fund (GMEF), launched in 2008, was a Fund of Funds with an objective of making PE investments in the Micro Finance Institution (MFI) space through regionally focused funds (CMI, IFIF, Prospero and Africap funds). It was a well diversified fund with a well spread geographic focus on Asia (55%), Latin America (25%) and Middle East – North Africa (20%). The investment period ended in December, 2012. Catalyst Microfinance Investors (CMI), was established in 2006 and incorporated under the laws of Mauritius. CMI received capital commitments of U.S.$ 125 million from leading international institutional and private investors. Its portfolio included microfinance companies across Asia and Africa. Gray Matters Capital invested in this fund through its entity Gray Ghost Microfinance Fund and was a cornerstone investor. Caspian Impact Investments (CII), addressed the need for debt among fast growing early stage impact enterprises that are otherwise compelled to grow their businesses through dilutive equity. Our focus sectors include Food & Agriculture, Financial Inclusion, Healthcare, Clean Energy and Affordable Housing. India Financial Inclusion Fund (IFIF), launched in August 2008 by Caspian Impact Investment Advisor Private Limited, is an equity fund that invests in Indian microfinance and housing finance. 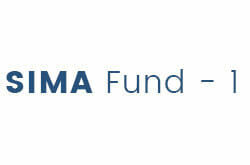 While the fund’s commitment period ended in October 2012, it made 12 equity investments in total. 3 of the 10 micro finance investments were awarded small finance bank licences and the 2 investments in affordable housing finance are companies that are market leaders today. A majority of the portfolio companies have obtained a Platinum Impact Business Model rating from GIIRS. Bellwether Microfinance Fund (BMF) was the first domestic equity fund in India dedicated to providing equity and debt to start up and early stage microfinance institutions in India. It was set up to be a market builder with the single minded focus of catalyzing Microfinance in India at a time when there were fewer than 5 investable entities of very small scale in the sector. Caspian Impact Investment Advisor Private Limited launched the Bellwether Microfinance Fund in May 2005. Bellwether is currently in an active exit mode. paraLife is a financial service provider formed in Zurich, Switzerland, offering insurance products to people with disabilities, their care-givers and family members in developing countries such as Mexico, Colombia and China. It aims to improve the quality of life for the underserved majority of low income populations by developing and providing products and services that are understandable, affordable and accessible such as micro insurance products. It partners with companies and organizations like large retailers, corporates, Micro Finance Institutions (MFIs) and banks. It also enters into cooperation agreements with local insurance companies through marketing and insurance portfolio management companies. 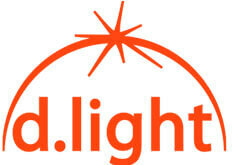 d.light is a global social enterprise delivering affordable solar-powered solutions designed for the two billion people in the developing world without access to reliable energy. d.light provides distributed solar energy solutions for households and small businesses in Africa, India and China and is transforming the way people all over the world use and pay for energy. Bioceptive is on a mission to improve the well being of women and families across the globe through creative innovation, product excellence and thoughtful design. 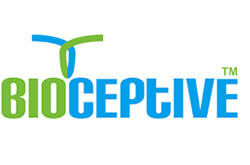 It empowers women with the choice of a gentle, atraumatic option when undergoing intrauterine treatment procedures. Its first product was a cervical retraction device that used gentle suction to engage and manipulate the cervix for a variety of gynecological procedures. This device replaced a painful, barbaric instrument called the cervical tenaculum which caused painful trauma. Its second product – Bioceptive Inserter, enables women to take control of their family planning with the best available method. This investment was made by Gray Matters Capital via First Light Ventures. 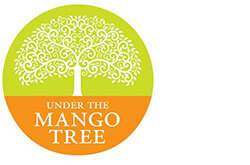 Under The Mango Tree (UTMT) addresses the key problem of access to remunerative markets for primary Indian honey producers with the current value chain – from plough to the plate – being a long and tenuous one, with many intermediaries. UTMT sources high quality honey from farmer cooperatives and packaged for direct sale to consumers via its online platform. Through Under The Mango Tree Society, a not-for profit, trains farmers to beekeep with the indigenous Apis cerana indica bee on their farms to addresses livelihood diversification, agricultural productivity and improved income. 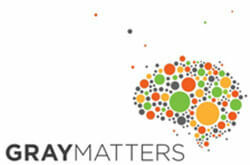 Gray Matters Capital invested in UTMT via First Light Ventures. Spring Health India (Windhorse) is an India based water company that utilizes an innovative point-of-sale purification and distribution model to sell affordable drinking water to low income families. It began its operations in the Indian state of Odisha and plans to scale across the country in the coming years. 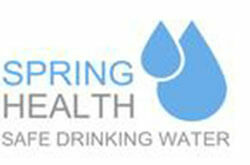 Spring Health has provided daily affordable clean water to over 150,000 people in 250 villages. Reduction of stomach ailments and diarrhea is estimated at 29% among Spring Health customers. Gray Matters Capital invested in Spring Health through First Light Ventures. 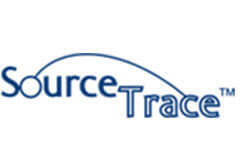 SourceTrace Systems specializes in agriculture software mobile applications for developing economies with a primary focus on sustainable agriculture and empowerment of smallholder farmers. SourceTrace farmer centric mobile applications help manage the agriculture value chain all the way to the last mile to enable smallholder farmers participate in global markets and works even in remote, low bandwidth environments. 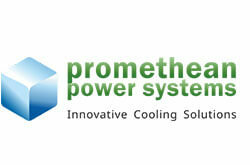 Promethean designs and manufactures refrigeration systems for cold-storage and milk chilling applications in off-grid and partially electrified areas of developing countries. Its goal is to enable village-level chilling with a range of products that deliver high-quality produce to customers. 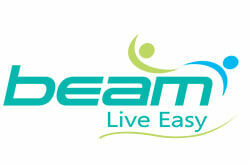 Beam is a non-cash payment service that allows its customers to conduct a variety of transactions through its digital wallet and prepaid reloadable debit card instruments. It offers Advance Payment Voucher (APV), a voucher acknowledging the payment of certain amount for purchasing various goods/services from Beam; and cash management services to banks. Beam enables customers to make mobile and DTH recharge; purchase air and bus tickets; pay electricity, water, landline, insurance bills, etc. using APVs. Its APVs are available through a network of distributors and retailers. Beam is dedicated to serving the vast unbanked and under-banked population of India by empowering them with the ability to transact anytime and anywhere, with anyone. 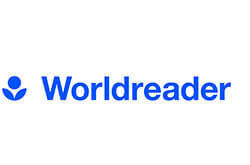 Worldreader is on a mission to create a world where everyone is a reader. It actively curates books by African and Indian authors for its library and helps authors and publishers translate and digitize their titles and expand their audiences. Besides this, it builds on digital platforms and mobile connectivity in the developing world to make books available to children and families who need them the most through its reading apps. Literacy is transformative as it increases earning potential, decreases inequality, improves health outcomes and breaks the cycle of poverty. The more relevant and engaging a student’s first reads are, the more likely she is to continue learning and reading throughout her life. Gray Matters Capital supported Worldreader’s Read to Kids program in India that helps schools involve parents in reading to their kids regularly to promote language skills and quality parent-child interaction through a rich collection of Hindi and English story books. Voice4Girls enables marginalized adolescent girls in India to take charge of their futures by imparting critical knowledge, spoken English, and life skills through activity-based camps. Critical knowledge includes basic health, safety, rights, self-awareness and future planning while life skills include imparting interpersonal and leadership skills besides developing problem solving and critical thinking ability. 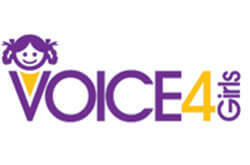 Voice4Girls’ vision is to make all girls take charge of their futures, so that they work towards breaking harmful cycles of economic, social and gender inequality in their communities. This was in alignment of Gray Matters Capital’s mission of providing a meaningful life to 100 million women and girls through education and 21st century skills. Omerga Schools is a social enterprise in Ghana on a mission to deliver quality education at the lowest cost on a grand scale. The model has proven to be extremely attractive to parents, enabling its schools to be full within 10 days of opening. Currently the chain has 38 schools educating over 20,000 students. 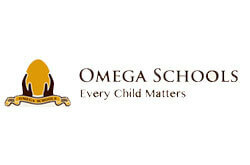 With its innovative Pay-As-You-Learn™ model, Omega Schools’ chain of low cost private schools with specialized curriculum, assessment, technology and management modules hold the potential of benefiting the poor and empowering aspirations of low income families and their communities. The funding from Gray Matters Capital will be used for doubling its school count in a year. Moreover, with 51% of the enrolled students being girls and with 62% of mothers of the children enrolled not being formally educated, Omega Schools was perfectly aligned with Gray Matters Capital’s gender lens investment strategy. Hipocampus Learning Centres (HLC), as a network provides affordable high-quality care and education to at-risk children who are 1 to 6 years of age. The objective of Hipocampus is to increase access to quality education while empowering local women through recruitment, training and deployment as ‘edupreneurs’ in the centers. 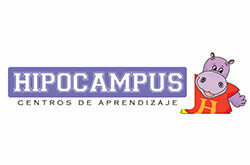 Hipocampus Mexico is a partnership between Connovo, a Mexican ‘social business builder’, and Hippocampus Learning Centers (HLC), a successful affordable private schools chain based in India. Hippocampus Mexico started operations in 2016 and currently operates one centre in Guanajuato. In Mexico, there are 11 million of children under the age of 5 of which 56% live in poverty. Current childcare services are insufficient and pre-schools not being able to adapt to the current reality of the communities. 80% of these children remain under the exclusive care of their mothers, who end up earning less than 6 times the minimum wages which leaves them with no access to social security. Gray Matters Capital saw the potential of Hipocampus in changing this gender paradigm in Mexico through education. The funding will be used to help Hipocampus open 50 centres by 2020. By leveraging the experience of Hippocampus in India as well as partnerships with corporations, foundations and key local stakeholders, Hipocampus Mexico has been able to reduce costs associated with establishment and running of learning centers accelerating their self-sustainability. This innovative collaboration has the potential to demonstrate that providing quality care and education is possible and can be scaled in the world’s largest markets. 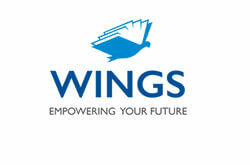 WINGS is an academic solution provider supporting affordable private schools and entrepreneurs in delivering innovative and well researched curriculum, continuous assessments and training for teachers in pre-schools. With parents forming an integral part of the pre-school academic programs and special emphasis laid on parent engagement, WINGS has demonstrated experience of facilitating holistic development of children. Early childhood interventions delivered through high quality pre-schooling have a greater impact on the foundational skills of children. Low income parents value pre-schooling and are heavily investing in it. Gray Matters Capital sees its investment in WINGS as an opportunity to influence and improve the quality of pre-primary education and the learning outcomes of children and tap into a market with sufficient demand from parents who are willing to invest in pre-primary education. 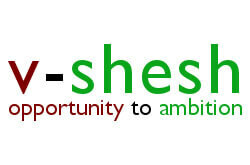 V-shesh Learning Services Pvt Ltd trains and connects Persons with Disabilities (“PwD”) and low-income rural job seekers in India to careers in sectors such as technology, retail, banking, hospitality etc. It provides end-to-end services to PwD from training & counseling, connecting them with recruiters to pre and post joining support. Apart from this, V-shesh provides consulting services to help companies become more accessible to PwD and also conducts sensitization workshops. Another pilot that it has started is with MFIs to give loans to PwD. Gray Matters Capital saw a high social impact opportunity in backing V-Shesh through First Light Ventures. Even though disabled people constitute a significant 5 to 6 percentage of the population of India, their needs for meaningful employment remain unmet. Of the approximately 70 million people with disabilities in India, only about 0.1 million have succeeded in getting employment in the industries till now – something which V-Shesh is trying to correct. 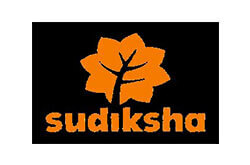 Sudiksha Knowledge Solutions helps women edupreneurs adopt a self-sustainable model to set up pre-school franchises. It also conducts training sessions for preschool teachers and helps in curriculum planning. With not many in rural India being accustomed to any form of preschool education, most children are not school ready when they join Class 1. Sudiksha aims to set this right by getting children accustomed to the joy of learning before they join regular schools. Sudiksha impacts the critical Early Child Education (ECE) segment in the education space in India, especially for the low income segment, works with women and creates livelihoods core areas that Gray Matters Capital aims to impact. With learning outcomes not matching the requisite quality standards, the onus is on schools in general and teachers in particular to engage with students better. Kickboard’s behavioural intervention tools engender a positive school culture which directly impacts student achievement. Gray Matters Capital has invested in Kickboard through First Light Ventures. Gray Matters India (GMI) is a Hyderabad-based social enterprise focused on providing assessment and actionanable outcomes to schools and students. It carries out comprehensive school assessments including assessment of student learning outcome, teaching quality, parent satisfaction, school leadership and learning infrastructure. GMI has worked with over 2,000 schools, both private and government, assessing more than 450,000 students and 15,000 teachers across 15 states. The company was incubated at Gray Matters Capital in 2009 to increase the role of assessments and analytics in K12 education and help improve educational quality by making data actionable to schools. It was spun-off as a separate entity in early 2013. One of the most innovative, mission driven and student centric educational enterprises in India with the potential of bringing about a tangible change in the way education is imparted in schools and thereby addressing the critical need to improve quality of education. In addition it is a woman led education enterprise, was a strategic fit for gender lens investing. 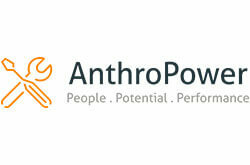 AnthroPower, based out of Delhi, has developed a digital approach to provide on-demand technical training at scale to training institutes, renewable energy companies and Individuals with a focus on the Solar sector. The company’s mission is to develop a trusted, quality assured technical skill pool that is a seen as best in class for finding field level talent for Solar Energy Companies. With India setting herself a target of achieving 100 GW of solar power generation capacity by 2022, there is a need for skilled technicians to set up such installations. Gray Matters Capital saw AnthrPower being well placed with its e-learning products and services on safety and quality helping EPC companies train a distributed workforce faster and cheaper to meet this need. 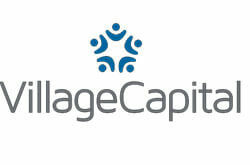 VILLAGE CAPITAL finds, trains and invests in entrepreneurs solving real-world problems in agriculture, education, energy, financial services, healthcare among others. It builds communities around entrepreneurs and their ventures to improve opportunities for growth and success. Given its conjunction of core geographies with education being one of the focal areas, Gray Matters Capital invested in Village Capital with an objective to scale its social impact. Based on the concept of the “village bank” in microfinance, Village Capital builds cohorts of entrepreneurs for education programs with partners worldwide. At the end of each program, entrepreneurs assess one another, and the top-ranked receive capital from partner investors. This peer-selected model delivers better results for entrepreneurs and to investors like Gray Matters Capital.